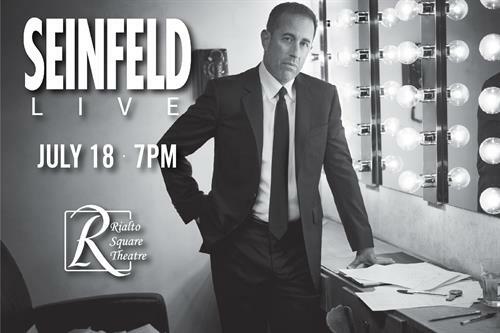 Joliet, IL – Rialto Square Theatre and JS Touring announced that America’s premier comedian, Jerry Seinfeld, will return to the Rialto Square Theatre stage on Wednesday, July 18th at 7:00PM. Tickets go on sale to the general public on Friday, June 8th at 10:00AM. Seinfeld has been hailed for his uncanny ability to joke about the little things in life that relate to audiences everywhere. He now sets his sights on performing both nationally and internationally in 2018. Please go to www.rialtosquare.com or call Ticketmaster at 800-745-3000.